Multipure has a filter for every need and every budget. From our most popular filter system - the Aquaversa - to our most technologically advanced system, the Aquaperform, Multipure will provide you with a lifetime of clean, healthy, good tasting drinking water. YOU WILL NEVER NEED TO BUY ANOTHER SYSTEM! NOTE: OUR SITE IS CURRENTLY UNDERGOING MAINTENANCE AND SO OUR BUY BUTTONS ARE NOT WORKING. PLEASE GO TO OUR MULTIPURE SHOPPING PORTAL IN ORDER TO PLACE YOUR ORDER AFTER YOU'VE CHOSEN THE FILTER YOU WANT! THANK YOU! AND SORRY FOR THE INCONVENIENCE! The Aquadome uses the exact same carbon block filter as our Award Winning Aquaversa model. 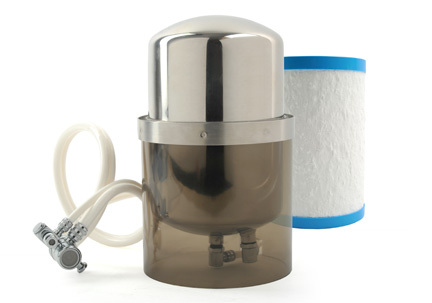 It reduces over 65 contaminants of health concern and like our other countertop water filters it can be installed in minutes by anyone. The Aquadome is less expensive is due to its polypropylene housing instead of stainless steel. It still has the same Lifetime Warranty and 90 Day Money Back Guarantee. Or We'll Refund The Difference! 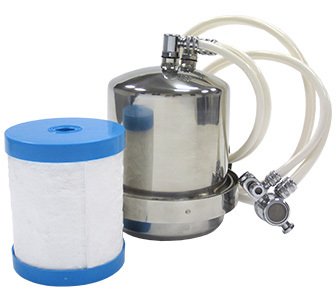 The Aquamini uses a carbon block filter made with the same exact formula as our other filters, but due to its newness it is not yet NSF Certified. It is ideal for students and travelers, and has the same Lifetime Warranty and 90 Day Money Back Guarantee. The Aquaversa MP750SC is our most popular countertop model, named a "Best Buy" by the world's most famous Consumer magazine, 2 years in a row! Like all our filters, it reduces over 65 contaminants, has a lifetime warranty, 90 day money back guarantee, and has the quality assurance of the NSF behind it, independently analyzed and NSF Certified to reduce more contaminants than any other filter system! The Aquaperform countertop MP880SC is the same as the one on the left, except it also reduces Arsenic V and is the only carbon based filter you can buy that is NSF Certified to reduce Arsenic. 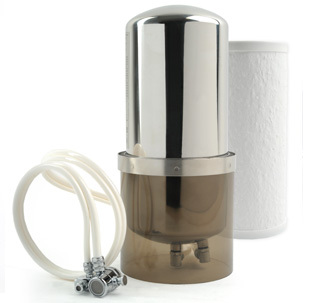 It is made to the same exacting standards as all our other filters and is the best carbon block filter system we sell, next to our AquaRO reverse osmosis system. What I love about my Multipure Aquaversa is I only have to change the filter once per year, and the water always tastes fresh and clean! What sold me on Multipure is their excellent reputation and lifetime warranty! I bought a FilterMania 7 years ago and got my Aquaversa free! Now all I do is change the filter once a year and change the tubing every few years and I'm set! What I love about my Multipure is no more carrying and lifting those big water bottles any more! It's all right there at my faucet! 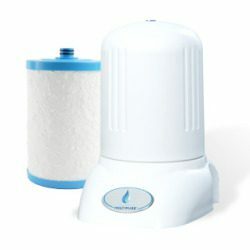 DISCOUNT OR GIFT CODE FOR YOUR WATER FILTER!